I'm sharing Beachside Bungalow, now known as Celebrate. 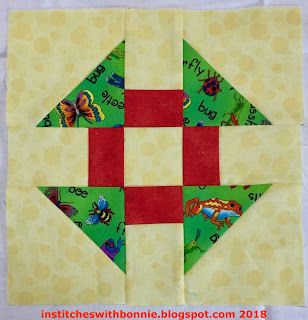 I had time today to lay out the blocks and I've got half of them sewn into rows. The upper right side blocks to about the center are in rows. Tuesday (or maybe today) I'll get more rows sewn together. 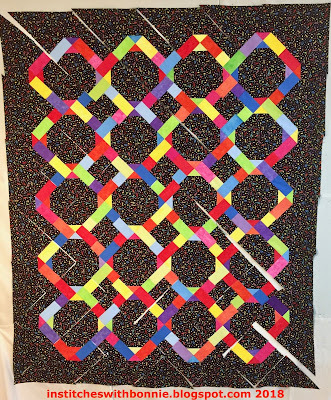 I'm loving this quilt! I need to find some backing fabric for this one. Maybe a nice bright red! 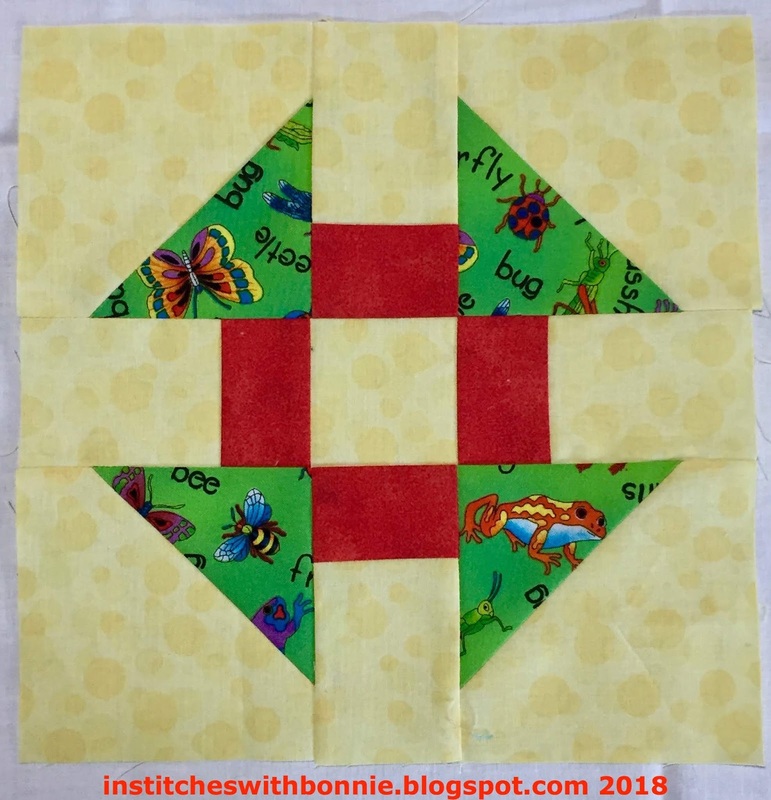 It's my turn with my FCQ Equilters group. I checked my computer file for ideas but I just wasn't sure what I wanted to use. Then I started looking at some of my books and found California Cruisin' by Terry Atkinson. 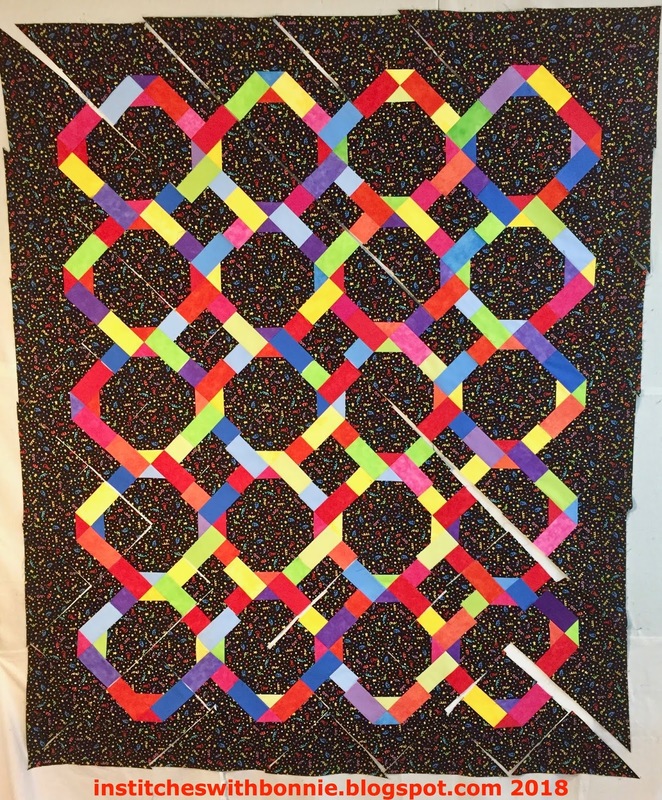 I thought her Stash Dash Fat Quarter quilt would be great. This was my first sample block. I decided I would ask for red, white and blue after I made this block. I guess I'll make some more kid friendly blocks so this one can find a home. My goals didn't get completed but I know I had a lot of things on that list. I'm happy with what I did get done with though. I'm linking up to the following parties: Oh Scrap, Monday Making, Main Crush Monday, and Moving It Forward. Those should keep us busy for a while! Celebrate looks great!. A cherry red backing and a multi-stripe binding - aaah, yes! Celebrate is really moving along! You picked a great name for the quilt. Good luck with all your goals this week. Celebrate is good reason to celebrate! Beautiful!